There has been an explosion in mobile apps over the last several years, leading to record revenue generation and app millionaires and billionaires. There are plenty of novel ideas waiting to be developed and many entrepreneurs setting their sights on building a new business around a mobile app or service. The opportunity for getting bought out or developing an ongoing revenue stream is understandably alluring. Everyone wants to get in on the action but it’s important with the increasing competition to have a good plan in place to launch your mobile app. Having a marketing plan in place early on is crucial to the success of any mobile app or web service. In this article we’ll show you how to avoid the typical marketing pitfalls as well as strategies for a successful launch plan. You’ll also discover ways to engage potential customers and create a buzz long before your mobile app even hits the market. 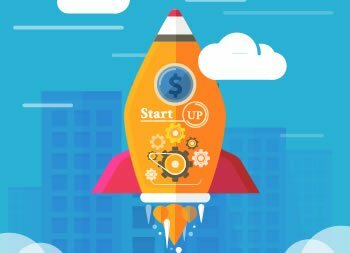 A successful mobile app launch strategy includes a plan to avoid the common pitfalls as well as taking advantage of proven techniques for success such as market research and roadmap documentation, among others. Successfully launching your mobile app is not merely measured by getting your app in the app store or having a nicely designed app. While these factors are important there are additional pre-launch factors you must also focus on to achieve mobile app success. Conduct market research to explore your competitors’ apps and see what audience they are targeting, what features they’re including, what features their users like, and what features annoy their users. Explore the comments in the app store by real users to find grievances and requested features. What can you include or delete from your app that would make your app more appealing to your niche? Once you’ve done your market research, it’s vital to know what your unique selling proposition (USP) is. Your market research should have given you a number of clues as to creating your unique selling proposition, if you don’t already have one. Your USP is what makes your app different or unique compared to others. It’s really the reason you’re creating your particular app. You should identify what these elements are for your app, because these are the things that would potentially make your app more valuable than others and therefore capable of attracting an audience of excited users, who will want to share your app with their friends. Your USP will be a big feature of your marketing effort. Defining the attributes of your app users will help you tailor your pre-launch, launch, and post-launch marketing campaigns to the correct segment of the population, and narrow your focus to your niche audience. Knowing and really understanding your different user types in a tangible way is critical to how you will go about designing and marketing your app to these users. Download Our FREE Mobile App Planner to learn more. and anything else that will help you market your app to your desired audience. There are probably hundreds of things that can be done as part of your marketing plan. The above just barely scrapes the surface. Don’t underestimate the power of developing and executing an organized marketing plan. It is one of the most powerful tools you have in launching an app successfully. Below are some additional marketing oriented tips. When you do your market research and define your app users you will want to recruit beta testers to give you feedback throughout the app development process. One potential way to do this is by recruiting within your network of people you know who would also fit your target demographic. Another is through services like TestFlight that allows you to upload a beta version of your app and invite potential users to try it out and give you feedback. You can recruit beta testers to do this, as well as share it with friends, family, and potential users you’ve collected through email. This will help you know if you are on the right track with your ideas, ways of representing your app, the needs you plan to meet, the features you plan to include, and the audience you plan to target. You can even offer incentives to beta-testers as well as early sign-up, effectively gaining followers before your app launches. Getting feedback from actual potential users in your niche audience can be one of the best ways to bolster the success of your app. Secure beta-testers who will provide a feedback loop as described in the previous section. Create a dedicated landing page dedicated to your app which will not only market your app but provide relevant content for your niche audience. Keep an up-to-date blog and guest post on other blogs where your niche audience hangs out. Post in a way that focuses on your audience’s problems and the solutions you will offer through your app. Start collecting emails and identities as early as possible with a pre-launch landing page. You will email your list to get feedback, engage with them, and offer sneak peaks, specials and incentives. Seek out publicity and connection with influencers, popular bloggers and podcasters who also feed into your niche audience. Use free tools like Social Crawlytics, Topsy, or BuzzSumo to find out who’s who in your industry/category. Build an app support page where people can make suggestions, report bugs, etc. PreApps is a site that helps generate interest in up and coming web or mobile apps. On their site and others like them you are able to gain early adopters, beta-testers, and subscribers to your email list. When you post on PreApps you will need to provide information about your app such as the name, category, a description, the price, which device it is designed for, the icon you plan to use, screenshots, and when you expect to release the app. Even if your marketing details are not completely ironed out, it’s a good idea to post on sites like this. After your app is launched you’ll want to have a marketing plan and advertising plan that continue the success of your app. In addition, having a maintenance plan that addresses customer feedback, updates, and new features is critical to keeping your app users happy, sharing, and coming back for more. Not planning your marketing strategy soon enough. Not clearly defining your USP and niche audience. Not having a feedback loop through beta-testers and customer feedback. Not building a community around your app through social media, blogging, and other avenues. Having no or very few customers at launch. Not doing market research and meeting a need others aren’t meeting, or meeting it better. Building too many features that weren’t needed. Spending too much time in development. Not getting the product out quick enough. Not giving yourself a launch date far enough out to where you have time to properly market your app. Losing marketing steam while you develop your app. Does this process look daunting or do you not have the time or know-how to do it yourself? We’ll help you formulate a winning mobile app launch strategy that increases the chances of successfully launching your app. Since 2003, we have been working in web and mobile app development and digital marketing. And when you’re ready to launch, we also specialize in SEO, paid advertising, email marketing, PPC management, facebook advertising, and inbound marketing. Request a Call or contact us at 727-562-5161 to find out what we can do for you. Learn more about our mobile app development services.